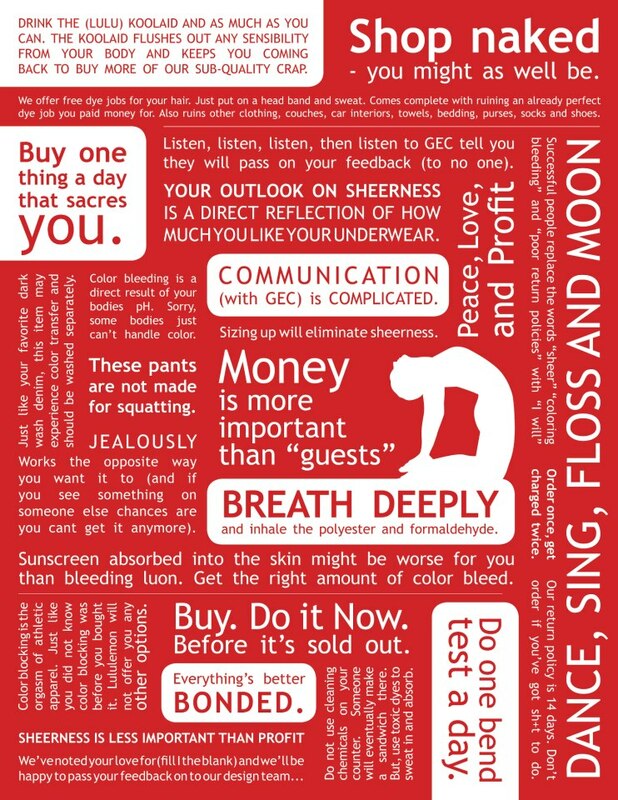 Erin Marie, a talented graphic artist and fellow member of the Lululemon Nerd Club put together our collective ideas from one of the lululemon fan forums to create this Lululemon Guest Manifesto and I think this is just perfect. In fact, I’d be willing to sacrifice a Cool Racerback to have this manifesto silk screened on. I never cared for the original Lululemon Manifesto, but this I love.